Before performing a boat launch, you should thoroughly inspect numerous components, such as the rudder, the vessel’s radios, the alternator, the battery, the fuel tank, the anodes and the ballast tanks. You can also evaluate the motor’s intakes, which allow water to cool the vessel’s engine. The lower sections of most boats have apertures that provide water for gensets, heat exchangers, and the engine. The fittings are typically made of plastic or metal and protect the vessel’s openings, yet the components can become damaged if the boat scrapes rocks when the craft is in shallow water. While completing a boating safety inspection, you should search for corrosion on each fitting, and if the part is made of plastic, you can ensure that the fitting has not been consistently exposed to ultraviolet radiation, which may weaken the component. Furthermore, you can install a seacock, and this type of valve will prevent excess water from flowing through the fitting. These parts allow electricity to flow to a craft’s components. According to well-known organizations that provide boating licenses, anodes that are made of zinc are designed for vessels that primarily operate in oceans, and parts that consist of magnesium can easily handle fresh water. You should search for galvanic corrosion on each anode to ensure boating safety, and this type of corrosion is typically caused by salt. In contrast, you may find electrolytic corrosion, which occurs due to worn wires. Inspecting all of your electrical items is extremely important. You want to also be sure that your lights, gauges, and horn are working properly. To ensure a safe boating trip, you should start the craft’s engine before the boat launch, and if the battery is losing power while the vessel is operating, you may have to replace the alternator. When the component is delivering ample power, you can use a device that evaluates the level of electricity in the wires that link the alternator to the battery. This component is positioned in the vessel’s lower section, and it is generally near the boat’s keel. According to numerous boating safety manuals, the bilge should be relatively dry, and organizations that offer boating licenses have indicated that owners frequently use pumps that automatically remove water from the bilges. A list of boating tips will indicate that you should search for scratches on the rudder, and these markings could show that the part has scraped the road while the boat was being towed to the dock. A slightly bent rudder could cause the vessel to move erratically and may become loose over time. Many boating safety manuals explain that a chain’s studs will typically be weakened before the other sections of each link. When inspecting a stud, you should search for cracks or corrosion, and before providing a boating license, an expert may compare the thickness of a weakened stud with a link that has not been damaged. 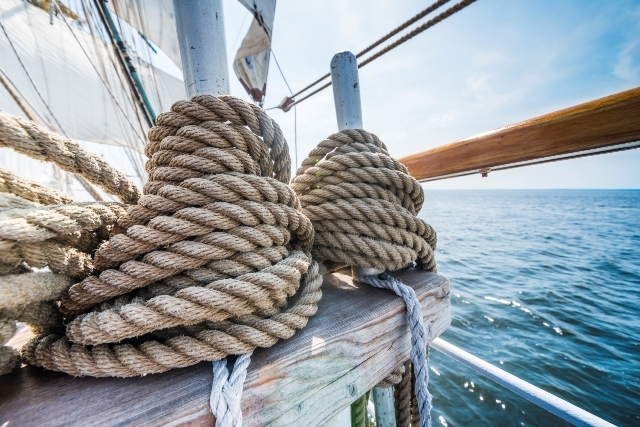 For many other boats that have rope, it is important to inspect the rope thoroughly before going out on the water. If a boat has been stored for more than two months, the amount of electricity in the battery’s cells could decrease by more than 35 percent. Boat checklists explain that the batteries of most vessels should contain at least 12 volts of electricity, and when the alternator is operating, the battery will typically have at least 12.8 volts. Boat motors consume a preset amount of water and allow the liquid to cool the boat’s engine, and the intakes are typically positioned in the lower housing unit. While preparing for a safe boating trip, you can ensure that dirt and seaweed are not located in the intake, and to verify that the engine is not overheating, you should allow the motor to run for at least 30 minutes before leaving the dock. The vessel’s belt is typically connected to the water pump and the alternator. If the component is too loose, the part will generally squeal, and a boat checklist will indicate that an excessively tight belt could damage other components. Before a boat launch, you should analyze the bottom section of the vessel to ensure that a small amount of oil has not been seeping from the reservoir. Subsequently, you can evaluate a sample of the boat’s oil, and if the substance is particularly thick, you should replace the oil. Numerous lists of boating tips have explained that new oil will generally be more clear than old oil that has been contaminated. A company that provides boating tips will typically recommend that you should have a line that consists of nylon, which is resistant to the effects of water and the impact of UV rays. 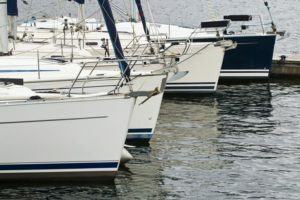 According to one boat checklist, the towline should have a length of 75 feet and feature a coating that prevents marine life from chewing or damaging the line. 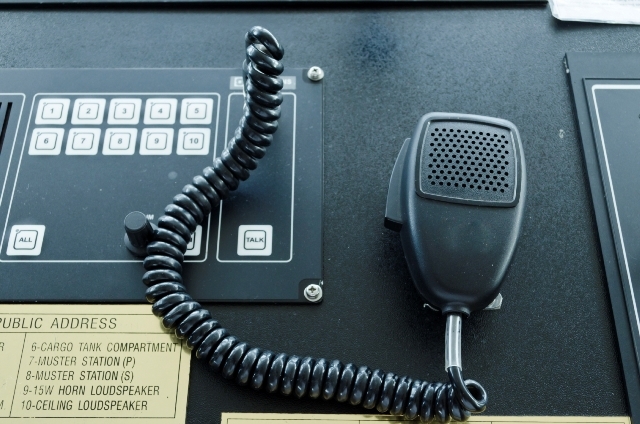 Boat checklists commonly indicate that individuals should use the vessel’s radio to communicate with a station that is on land before embarking on a safe boating trip. In addition, owners can give float plans to at least two people, and seafarers may allow these individuals to link a boat’s GPS to a mobile app that will let a person remotely monitor the vessel’s location. A boating safety manual will typically recommend that owners should look for vertical cracks, which could allow water to damage the bulkheads over time. If the cracks are near a dividing wall, the owner should use fiberglass to repair the openings before launching the boat. Made of durable steel, this component is designed to protect one of the boat’s seals. To inspect the stuffing box, you should start the vessel’s engine while searching for water that could be seeping from the component. To perform a boat launch in many lakes that are managed by governmental organizations, you must spray the craft’s exterior by utilizing a high-pressure hose. Lists of boating tips commonly explain that hot water will generally remove invasive species more swiftly than cold water. Once the boat has been cleaned, you can obtain a boating license from the agency that manages the lake. 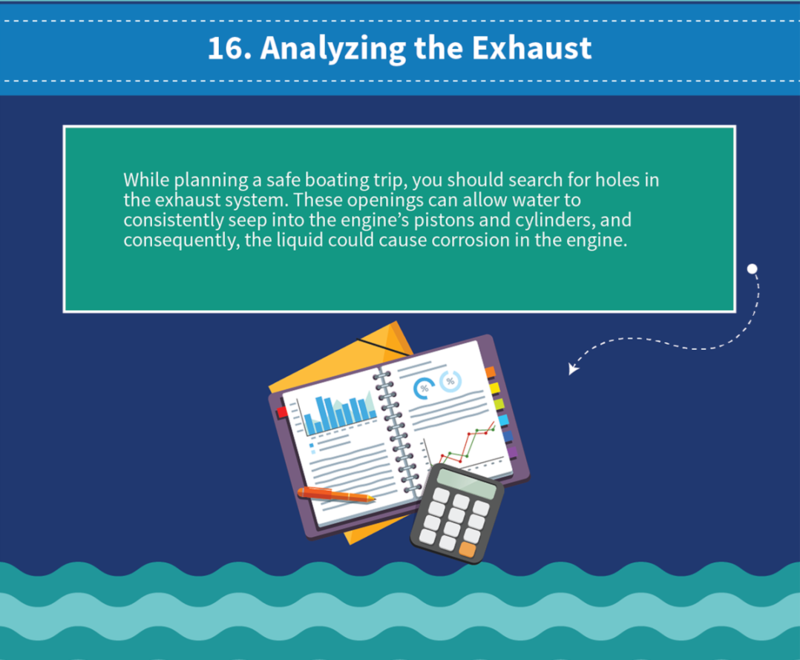 While planning a safe boating trip, you should search for holes in the exhaust system. These openings can allow water to consistently seep into the engine’s pistons and cylinders, and consequently, the liquid could cause corrosion in the engine. Many boat checklists indicate that owners should inspect the lines that connect the parts of the steering system to one another. Furthermore, you can evaluate the throttle’s cable, which is particularly susceptible to the effects of corrosion. According to comprehensive boating tips, the reservoir that holds coolant will have two main markings, and the lower line will indicate the optimal level of coolant when the engine is cold. The upper marking determines the ideal amount of coolant if the engine is hot. Hulls commonly contain fiberglass, which is substantially lighter than most other materials. When planning a safe boating trip, you can lightly tap the hull’s outer section by using a mallet, and if the sound is dull, the fiberglass and the vessel’s wooden panels may be damaged. Before performing a boat launch, you should inspect the fuel filter, and if this component contains debris, the vessel will typically lose power while the engine periodically sputters. After replacing an old filter, you can also flush the fuel lines in order to remove excess condensation. Last, but certainly not least, you should ensure that your boat has the proper safety equipment for all of its passengers. There should be at least one lifejacket per person on board. Make sure that the life jacket, as well as its straps and fasteners, is in the best shape possible. A lifesaver would also be a good thing to have with you as well as a spare paddle. Another piece of equipment that you could include is a flare gun which would come in handy if you have an emergency and need assistance or rescue. A first aid kit on board, in a waterproof container, is also a good idea. Do a complete check of your trailer, lights, wheel bearings, spare, and the guide cable for your winch. Be sure that you are ready for whatever could happen out on open water. Be safe and have fun!